R180 Keeley CHILDREN Triple Pack "save £3"
VESTS OPEN FROM THE LEFT WHEN WORN. Great style vest that is easy to get on and off as it does not have to go over your child’s head and can be wrapped around then popped up. Perfect for dressing children with stiff limbs or wriggly dressers- and allows great access for mickey buttons or g-tubes whenever you need it. 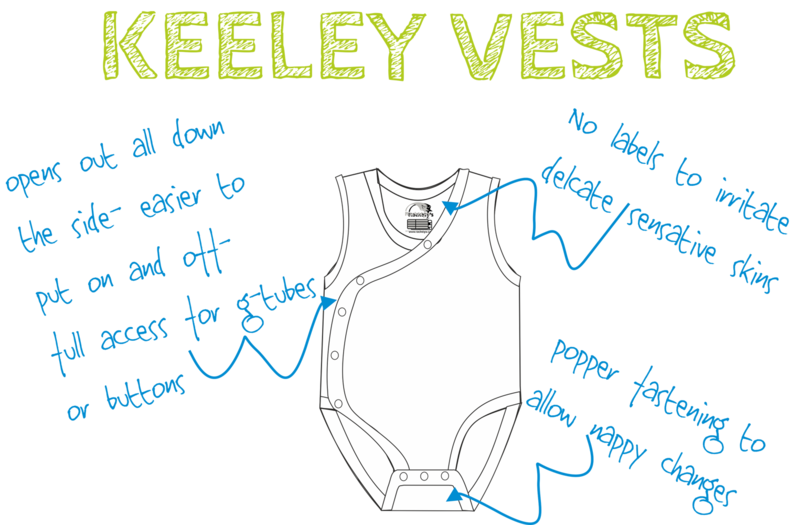 Keeley vests are named after the little girl whose Mummy suggested the style change- thank you Wendy! ♥ Opens out completely so no need to go over the head.